Blackberries are one of my all time favorite berries. Actually, there probably is not a berry I do not like. I like jams too, however, I do not like all the sugar that are usually in jams. This recipe has only two tablespoons of coconut sugar for this entire recipe. This make me a very happy girl. 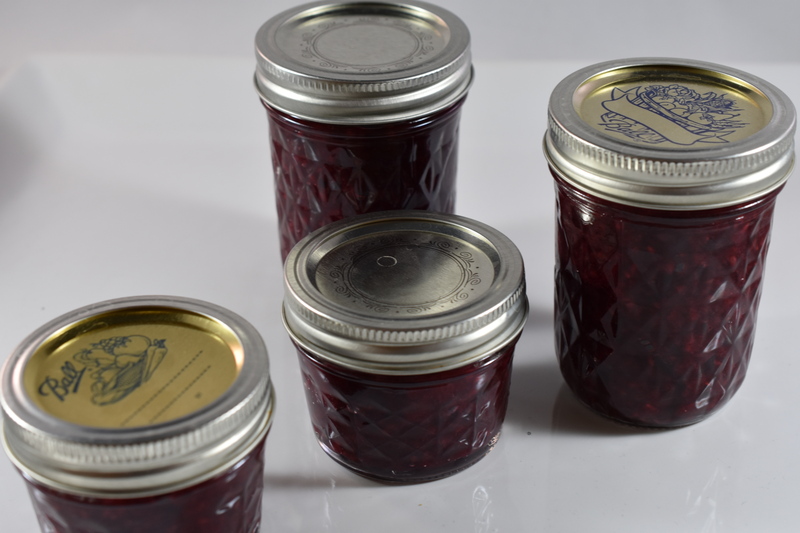 The fruit’s natural sugars help sweeten this jam. Delicious. Make sure you have prepped all your jars and lids before starting this recipe. In a large dutch oven add all the ingredients. Stir well and bring to boil over medium heat. Cook until the jam is as thick as you like. This will probably take a little longer than making traditional jam because of the lack of refined sugar. Meanwhile bring a large stock pot filled with water to a boil. You will process your filled jars in this stock pot. Fill jars, leaving a half inch space at the top. Place lids on jar and screw on ring loosely. Place jars in stock pot and boil about 10 minutes. They will be done when you press the lid and it doesn’t pop. Set aside and leave alone to cool. This recipe made 3 – 8 ounce jars.